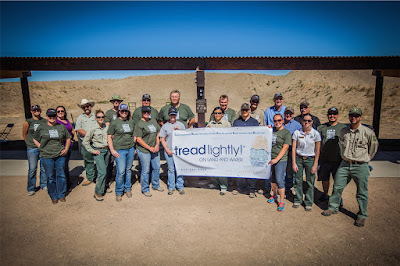 Greeley, Colo. – September 29, 2015 – Tread Lightly!, Noble Energy, Inc. and the U.S. Forest Service recently celebrated the completion of three priority Restoration for Recreation projects implemented this year on the Pawnee National Grassland, near the community of Greeley, Colorado. The final project was held at the Baker Draw Designated Shooting Area, where volunteers cleaned and improved the popular public space with new permanent shade structures. The Restoration for Recreation projects have been part of a larger Noble Energy-supported “Nurturing with Nature” partnership that has also been creating a unique educational program connecting Greeley students with the outdoors. This new youth program aims to reach 10,000 students grades 2-6 by teaching outdoor ethics and skills education. This direct exposure to nature has proven essential for healthy childhood development and nurturing a society of good citizens and environmental stewards. Colorado Parks and Wildlife Director Bob Broscheid attended the September 21st event to lend his agency’s support and speak to the group of volunteers. “Colorado Parks and Wildlife is known across the country as a leader in conservation, outdoor recreation and wildlife management, and this program is right in line with our mission to provide enjoyable and sustainable outdoor recreation opportunities that educate and inspire current and future generations,” Broscheid said. This important multifaceted partnership has grown to serve as a national example of the benefits of public-private collaboration outlined by various federal and state agencies from the “America’sGreat Outdoors Initiative” and the U.S. Forest Service’s “Frameworkfor Sustainable Recreation” to the Bureau of Land Management’s “Education,Interpretation, and Youth Engagement National Strategy 2013-2018” and ColoradoParks and Wildlife’s 2015 Strategic Plan. More information about Nurturing with Nature and Tread Lightly!’s Restoration for Recreation program can be found at http://treadlightly.org. Tread Lightly! has more than 70 official partners from various industries and is likely the nation’s only non-profit holding MOUs with every federal and state agency in the U.S. Tread Lightly!’s diverse member base enjoys a wide range of outdoor activities including hunting, angling, camping, boating, biking, four-wheeling and much more. Become a Tread Lightly! partner or member today and start supporting access, education and stewardship at www.treadlightly.org. Noble Energy is a leading independent energy company engaged in worldwide oil and natural gas exploration and production. The Company has core operations onshore in the U.S., primarily in the DJ Basin and Marcellus Shale, in the Gulf of Mexico, offshore Eastern Mediterranean, and offshore West Africa. Noble Energy is listed on the New York Stock Exchange and is traded under the ticker symbol NBL. Further information is available at www.nobleenergyinc.com and www.noblecolorado.com. The mission of the Forest Service, part of the U.S. Department of Agriculture, is to sustain the health, diversity, and productivity of the Nation’s forests and grasslands to meet the needs of present and future generations. The agency manages 193 million acres of public land, provides assistance to state and private landowners, and maintains the largest forestry research organization in the world. Public lands the Forest Service manages contribute more than $13 billion to the economy each year through visitor spending alone. Those same lands provide 20 percent of the Nation’s clean water supply, a value estimated at $7.2 billion per year. The agency has either a direct or indirect role in stewardship of about 80 percent of the 850 million forested acres within the U.S., of which 100 million acres are urban forests where most Americans live. 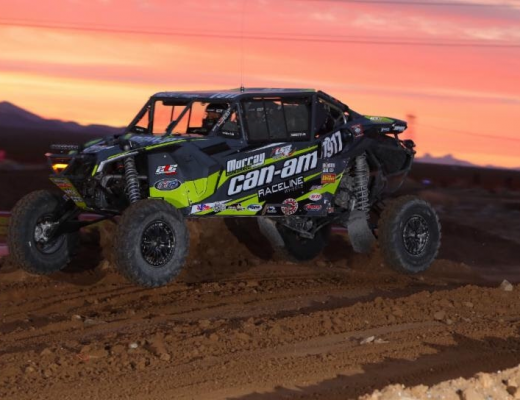 Team Muzzys/Kawasaki Ready to Surprise in Surprise!